What I imagined in Sweden were Ikea-designed hives filled with winged mini-Vikings quaffing Absolut vodka. 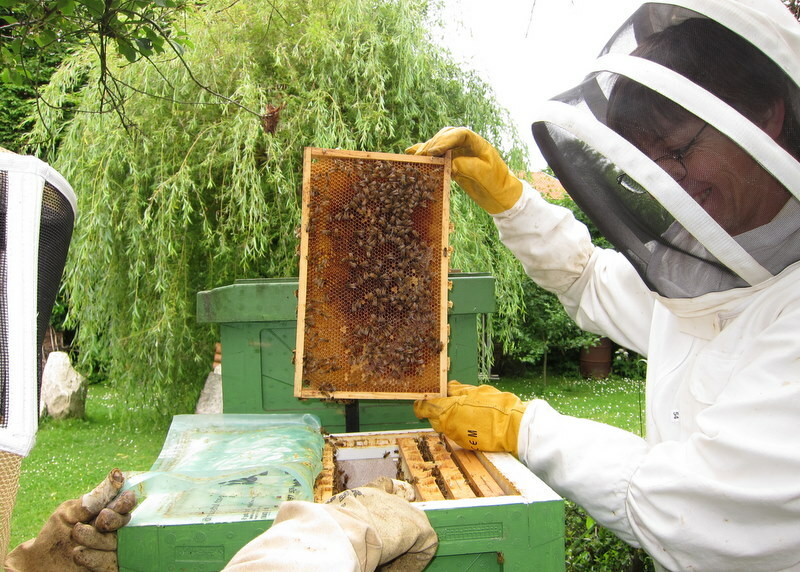 The reality, however, is much like beekeeping in the U.S…. plus styrofoam. Last month, I lived in Gothenburg, Sweden where I encountered obscene amounts of daylight, smoked fish, and craggy green nature. Surprisingly, however, I saw very few honey bees. But that’s a different story. 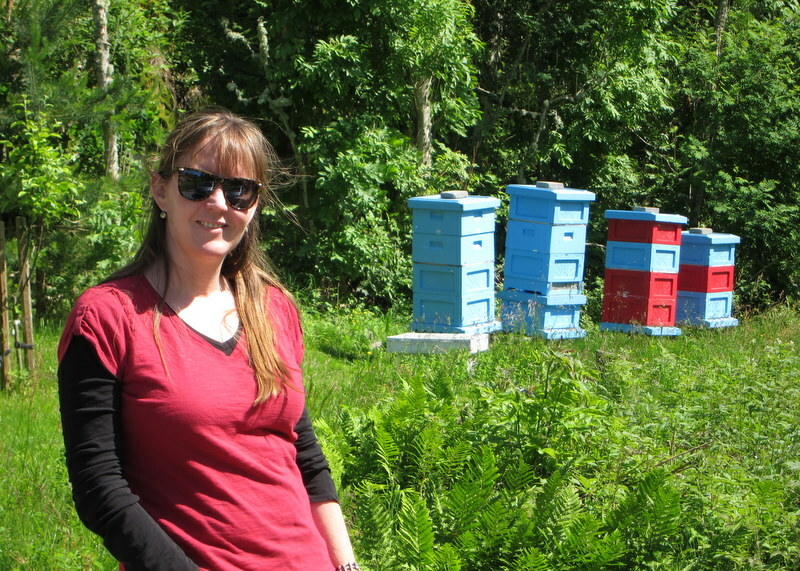 Let me introduce you to the bees I was lucky enough to meet in Sweden and one special hive we took a peek inside. 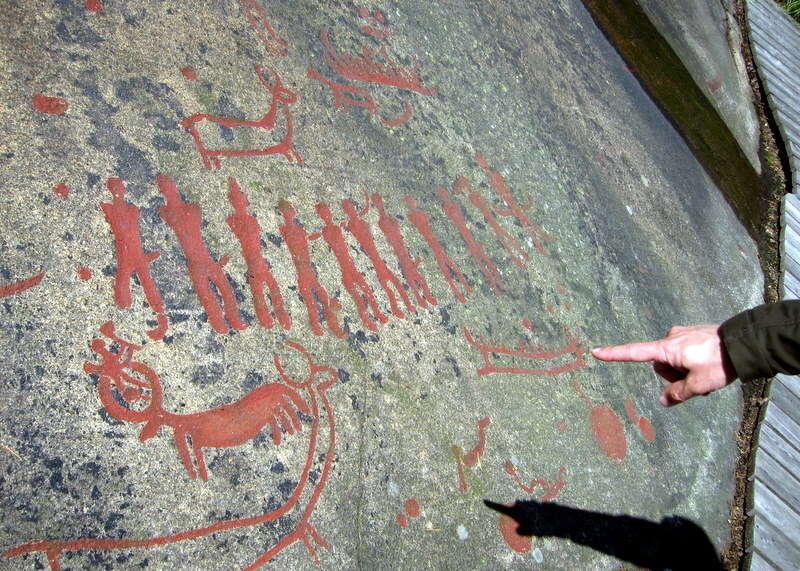 All watery green and granite, the Bohuslän coast north of Gothenburg is home to a series of Bronze Age rock carvings. It’s all part of a UNESCO world heritage site replete with hunting scenes and phallic might. On the road in between one ancient carving spot and another, we encountered this bright little apiary owned by the Johansson family. At the well-maintained and centrally-located gardens of the Gothenburg Garden Society (that’s Trädgårdsföreningen, if you’re a Swede), I spied some kind of vertical public demonstration hive, complete with cartoon instructions about the honeybee lifecycle sponsored by the Gothenburg Beekeeping Association. 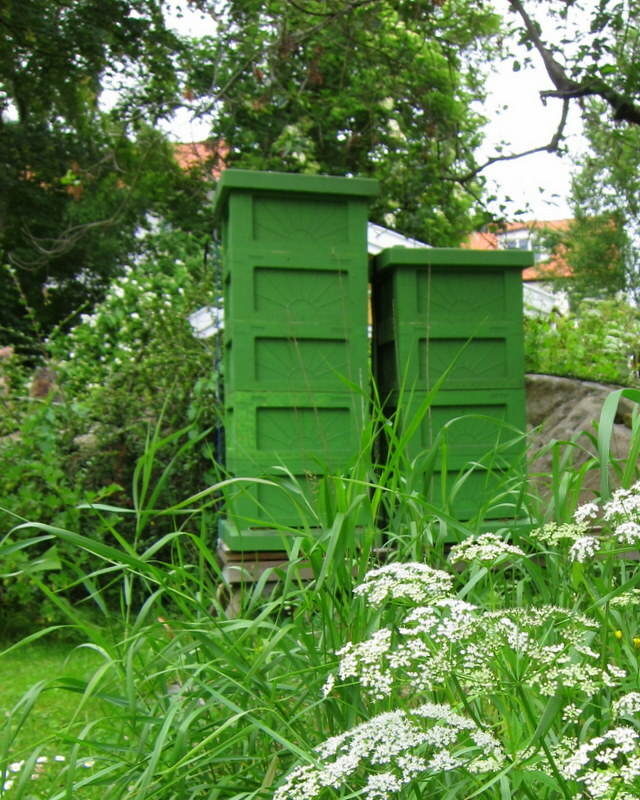 One afternoon, we visited the backyard hives of Mikael Lagerman, a Gothenburg beekeeper whom I contacted blindly through the Swedish Beekeeping Association. With typical western Swedish hospitality, Mikael invited us over and spent several hours talking bees. 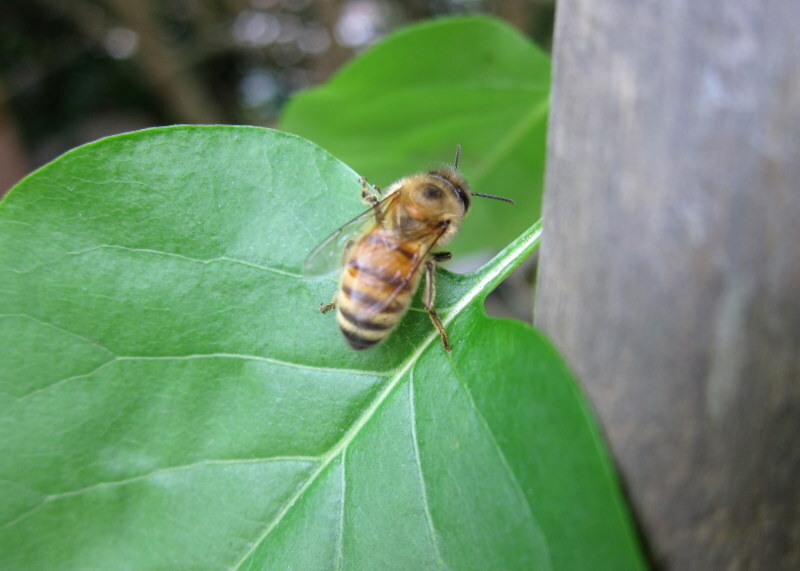 And I’m dying to tell you… his Langstroth-style hives were made of styrofoam… yes STYROFOAM! Lightweight and perfectly crafted with Swedish attention to detail, the hive bodies were entirely comprised of insulative styrofoam making ventilation-obsessed beeks like myself downright itchy. Literally, I could feel the fungus growing. But Mikael assured me that his colonies (actually the Swedish word translates to “societies” which seems more fitting, doesn’t it?) survive the Swedish winter better with styrofoam. And indeed, his societies were thriving. 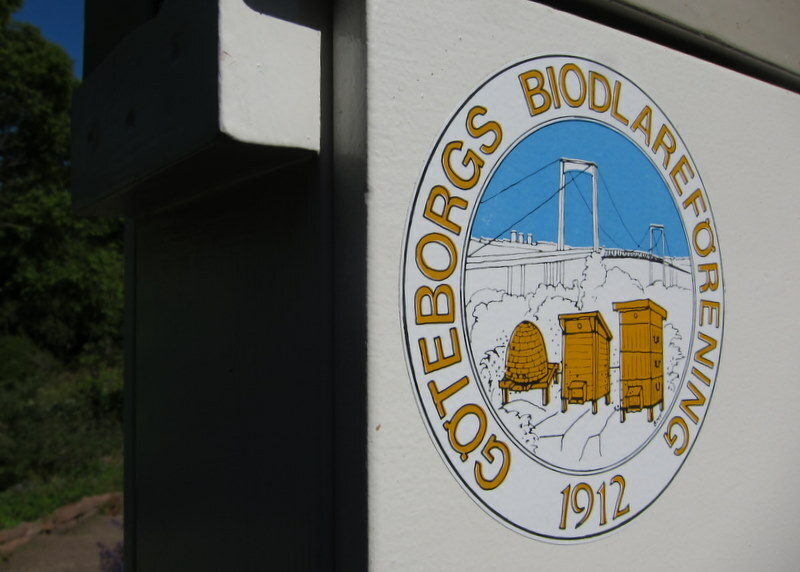 Though honey bees out in the wild were somewhat rare, city beekeeping seems alive and well in Sweden. 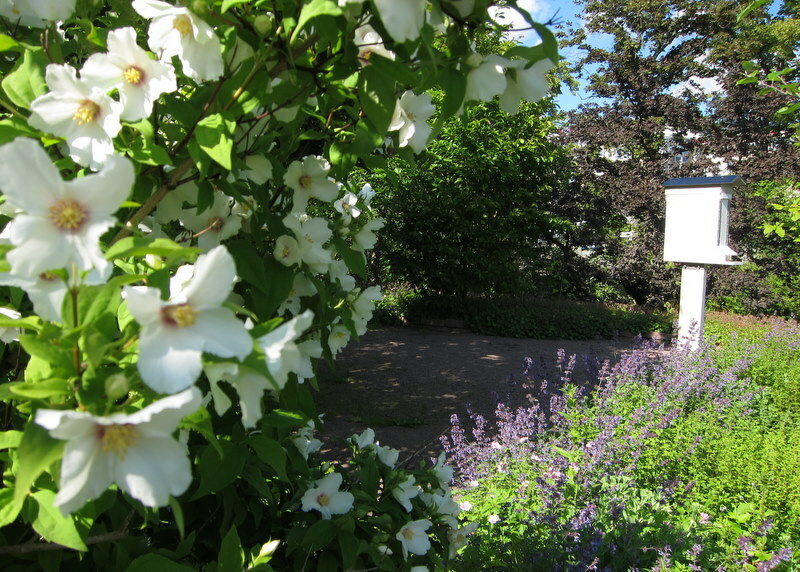 And if projects like Urban Bee are any indication, it’s about to get even sweeter. I keep bees both in styrofoam and wooden hives and my experience is that there’s far less mold (read: none at all) in the styrofoam hives at the end of the winter. Our hives are very well ventilated at the bottom and I think the insulation helps preventing the moisture from condensing on the inside of the hive. That’s mostly speculation though; I only know that our styrofoam hives winter much better than the others. Unfortunately there are other drawbacks to the styro, you can’t clean them with fire for instance. Jessie, I too love the idea of a lightweight hive. Keep us posted on your Greece trip — I’d love to see photos of the hives you visit. Felicia, thanks for stopping by! 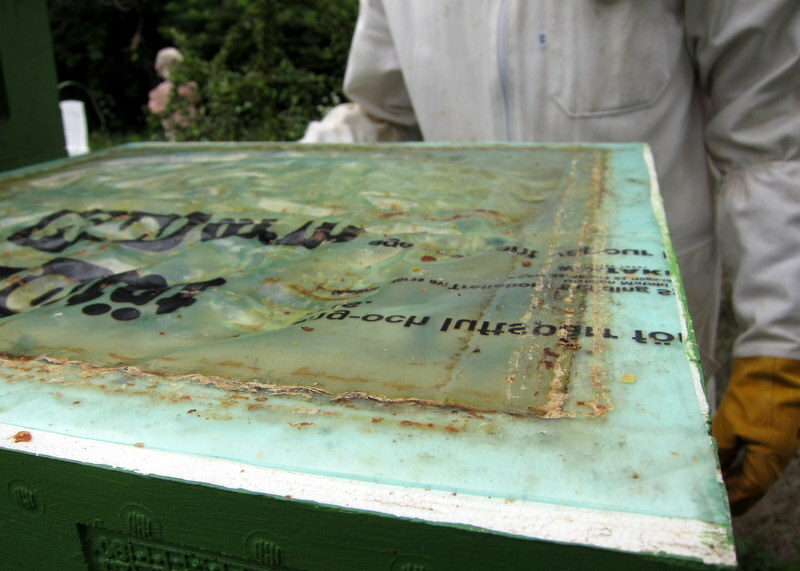 I’m curious to know more about your experience… Do you also use the Nacka hive that has very thin styrofoam on the panels and only thicker at the edges? I’d love to see photos of your hives if you publish them online anywhere and are interested in sharing. I’ve also heard that annual requeening is very common in Sweden. Is that the case for you as well or am I mistaken? 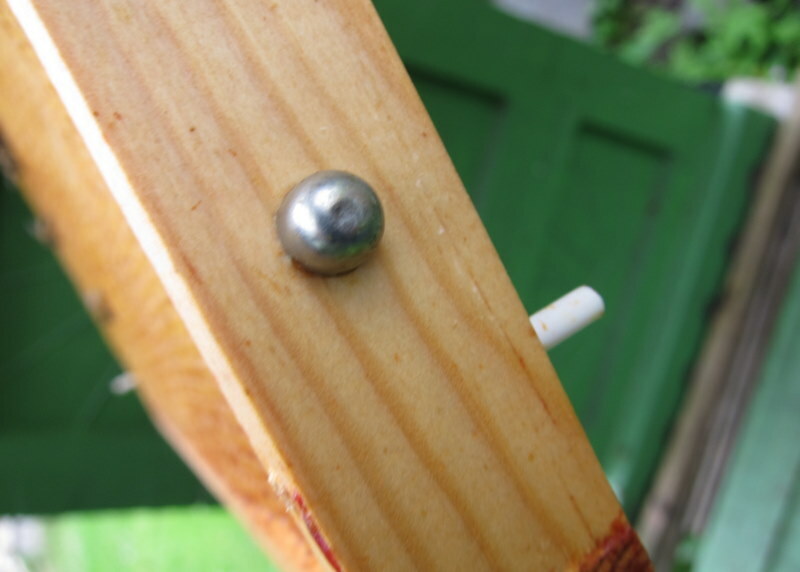 I use a different version of the Nacka hives than the ones you saw, where the styro is thick all the way. I think mostly it’s because my supers are lower (I use half Langstroth frames; there’s no way I can lift a full super of full-size frames!) so there’s not much point with a panel+edges. There’s a photo in this post of my now-dead blog. We have materials for twelve Nacka hives, the rest of our 40-ish hives are all wood with styrofoam tops. While the Nacka hives are nice and light, they’re far less durable than wood and for some reason the frames tend to stick in them something fierce, and the supers stick together as well. So although they seem to winter better in Nacka, I don’t think we’ll be getting any more of them. I requeen every year to keep swarming down. This year it didn’t work, we caught nine swarms and lost at the very least three… but for the most part the bees seem far more reluctant to swarm with young queens. We do it when we give the winter feed, never fails! Did you find out what breed of bees they use in Sweden? Taking the liberty of answering this one. 😉 It really depends on where you are, it’s quite localised. In my area most people use carnica (including myself), but I know one or two who keep italians. Buckfast is quite common, and there’s an association for preserving and spreading the dark scandinavian bee. Thanks, Felicia! I was wondering…. The gentleman whose hive we visited keeps Italians. And I’m quite pleased to hear there’s a movement to preserve the local genetics as well. I’ve used styro hives for years in Oklahoma, and am quite happy with them. The link to our web site is Bee Urban, and not Urban Bee.. Wish all dedicated beekeepers out there a wonderfull day! Came across this posting by chans. Very prity pictures and nice to have you visiting. Best wishes! How wonderful to hear from you, Mikael! Hope all is well.